Happy birthday, Sarah. Enjoy the decade. such a gorgeous birthday photo!!! bow chica ow now! something about this picture also makes you look like you and amy m. could be sisters from another mister! do y'all ever get that?? happy birthday! 30 is the new 18!!! I look forward to seeing you soon! hey you look beautiful! happy birthday sarah. you are gorgeous daahhling, really beautiful...love you. 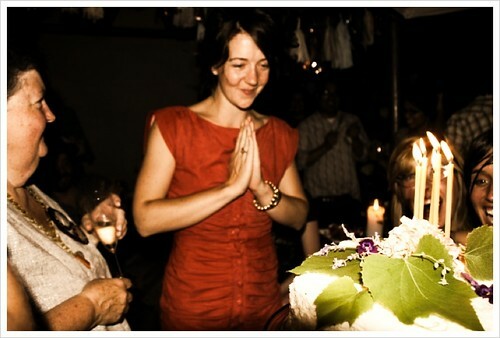 I love this picture and I love 30 - here's to all beautiful things in this next decade. what a beautiful dress! welcome to 30, just turned 30 myself. really loving it. cheers!